Drugs for sacroiliac pain are some of the most commonly used treatments. The problem is that drugs are dangerous and create serious health issues, particularly when used over long timelines, as is common with SI joint pain issues. Very few patients understand the risks they are taking by acquiescing to prescription drug therapy. They believe the substances are safe because their doctor prescribes them and some even believe drugs will cure their pain if they keep using them. This is naive madness. Drug therapies have become the number one treatment for all forms of chronic pain not due to their safety or efficacy, but instead due to the propagation of medicine as a business, rather than a healing art. Pharmaceutical companies are some of the largest, richest and most powerful corporations in the world today. These companies bombard consumers 24/7 with messages regarding the importance of their treatments and certainly have no problem literally paying your physician to prescribe these products. Although medicine is a very profitable business to begin with, many doctors earn far more in pharmacological kickbacks than they do from their actual practice fees. This highly critical essay takes a hard look at the pharmaceutical treatment industry. We will examine why drugs have become so universal in the treatment of SIJ disorders and why patients should really consider their alternative therapeutic options carefully in order to preserve life and limb. Drug therapies are primarily prescribed for sacroiliac joint issues in order to relieve pain. These analgesic substances range from OTC strength formulas which are relatively safe when used as directed, to very hazardous opioid prescription substances that are nothing short of poisonous. Pain management drugs are particularly dangerous, since they are used over long timelines to manage symptoms when curative solutions can not be implemented. Although short-term use of powerful prescription drugs is still hazardous, it is more acceptable in cases of acute sacroiliac pain and episodic pain in otherwise healthy individuals. Besides pain-targeting drugs, other types of substances might be prescribed for some patients and some conditions. Anti-inflammatory drugs are widely used for sacroiliitis and some sacroiliac joint dysfunction diagnoses. SI joint pain that is caused by disease, such as rheumatoid arthritis, ankylosing spondylitis, Crohn’s disease or colitis, will also necessitate the application of a wide variety of therapeutic drugs. The drugs used for RA and AS are particularly brutal on the body and have serious side effects in many patients. Anti-neuropathy agents are utilized when the pudendal or sciatic nerves are suspected of suffering compression due to ligamentous concerns in the greater SIJ region. Finally, muscle relaxants are used in many sacroiliac dysfunction and muscle imbalance diagnoses. Drugs generally work well. Most substances provide verifiable benefits for patients towards their therapeutic indication. However, the benefits of drugs tend to decrease with time and some drugs begin to suffer therapeutic degradation due to anatomical tolerance after only several doses. 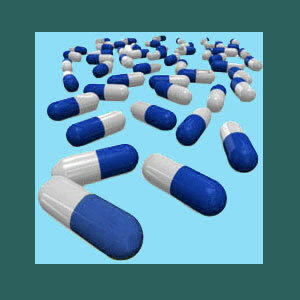 Other drugs take weeks or months for the body to become tolerant. Pain relieving drugs, in particular, are very popular with patients, since they tend to marked decrease suffering, as well as provide a “fuzzy” feeling that many people find to be comforting. Drugs that target the various disease-related causes of SIJ pain are less successful. Many of the best known drugs for rheumatoid arthritis and ankylosing spondylitis are grossly ineffective for some patients. Others are moderately effective, but create terrible health consequences. There is little evidence that most anti-inflammatory drugs actually work in any way on SI joint problems. There is also a lack of evidence that inflammation truly exists in the SI joint in many patients who receive anti-inflammatory agents as part of their drug cocktails. On the subject of drug cocktails, it should be known that the average SI joint pain patient who is put on pain management for the symptoms will take between 4 and 7 drugs total. Some of these drugs provide primary actions (pain relief, anti-inflammatory) while others help to mitigate the side effects and general health consequences of the primary drugs. The more drugs that are used, the more the risks compound for the patient, since interactions become more commonplace and the collateral sum of damage increases on every bodily system. One last benefit of drug therapies affects the care provider, but certainly not the patient. Money is the main factor driving the ever-increasing use of all manner of pharmaceutical products. Doctors earn vast sums of money, as well as receive expensive perks (medical equipment, vacations, cars, jewelry), from pharmaceutical companies simply for choosing to prescribe their products to any patient who might demonstrate any possible indication for the product to be used. These doctors do not care about you or your health. You are simply a way for them to increase their already huge profit margin by slowly poisoning your body with toxic pills. There are many highly effective methods of pain relief that can equal or even surpass drug therapies without all there risks. Some of the most effectual of these treatments include acupuncture, massage, exercise and chiropractic. Additionally, professional pain coaching provides coping mechanisms that are proven to not only decrease pain, but also help prevent it from recurring, while simultaneously improving many measurable life satisfaction scores. Unfortunately, non-pharmacological treatments have a more difficult time providing benefits for disease-related SI joint pain. However, without the pain medications, patients suffer fewer risks to overall wellness, even if they must still utilize special drug therapies for specific health issues that incite SI pain.